Sofya Gavrilova (born in 1987, Moscow) obtained a degree in geography, and then her PhD in Cartography (Lomonosov Moscow State University). She graduated from the Rodchenko Moscow School of Photography and Multimedia, the art photography class delivered by V. Efimov in 2012. At present she is working on a PhD at the University of Oxford. Selected solo exhibitions: Imaginary Territories, Central Exhibition Hall Manege, Moscow (2014); The formation of the system, Muzeon, Moscow (2013); To whom belongs the shadow of an parasol?, EKArtburo (2013); The Siege of Leningrad, Gallery BrownStripe, Moscow (2012). Selected group exhibitions: Embodied Places: Observation and Notations Exhibition, Holman Arts & Media Center, Sierra Nevada (2015); 12 reflective photographers, special project of Manifesta, Saint Petersburg (2014); The photography of the future, Hamburg Museum fur Kunst and Gewerbe, Hamburg (2014); Great expectations, Central Exhibition Hall Manege, Moscow (2014); IceLab, Laboratory for Art and Science, Moscow (2013); Rehearsal Time, Triumph Gallery, Moscow (2013); Barbarians, Fabrica, Moscow (2013); MYSTAVKA, Ecole Européene Superieure de Art Bretagne, Rennes (2013); Walks around Moscow, New Delhi, Lalit Kala Academi (2012); Today/Tomorrow, MMOMA Moscow (2011). 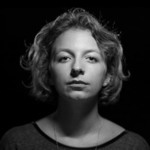 Sofya Gavrilova was nominated twice for the Kandinsky Art Prize (2012 and 2013, 2013 – shortlisted) and holds a special Stella Art Foundation Prize for Young Artists of the Innovation Prize in 2014, and a laureate of the Silver Camera Prize (2011). She lives and works in Moscow and Oxford.